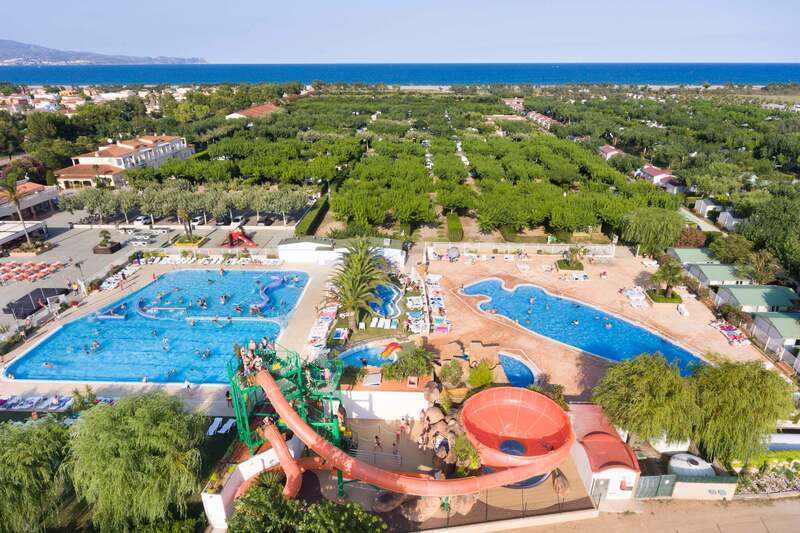 Located in the stunning bay of Rosas, Camping Àmfora extends a warm seaside welcome, offers direct access to the beach and guarantees all the top quality facilities and services of a world class campsite : bungalows, mobile homes and and 4 different pitches categories (some with private sanitary facilities). A unique environment for your holidays: sea, nature and art history. A new bathing paradise for all ages with 4 different pools for swimming, relaxing, fooling around…but also our new waterslides (one is 8m high) and a large paddling pool for the little ones invite you. Nobody is left behind at the edge of the pool! The large, orange, double and dizzying slide awaits you. 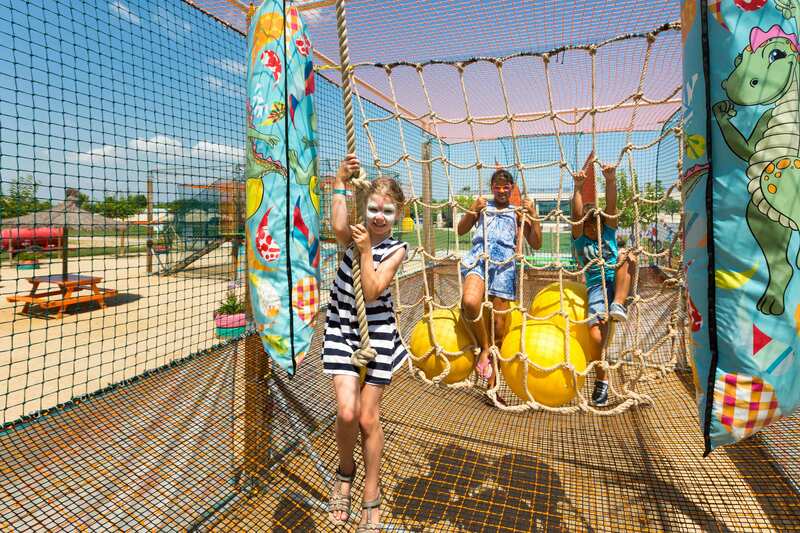 Our Amfi Park: On a secure area of about 700 m² and under the supervision of parents, Children from 4 to 13 years can enjoy great moments with the whole family. Many great attractions for afternoons of fun and thrills (like: Mega Trampoline, Climbing forest Park, etc… Our Challenge Park: Welcome to this brand new, fun and challenging obstacle race which is available from 12. A new activity park which is just perfect to have fun and surpass yourself at the same time. Whatever your physical condition, these races are for teenagers and grown ups alike. A great opportunity to challenge your relatives or friends or to test your personal limits.